The Department of Trade and Industry (DTI) through the Bureau of Export Trade Promotion (BETP) in cooperation with the Philippine Trade Training Center (PTTC), Export Development Council (EDC) and the Philippine Exporters Confederation, Inc. (PHILEXPORT) recently organized a two-day seminar on the Bureau of Custom’s (BOC) electronic-to-mobile (E2M) system in Cebu City. “There has been an increasing request from the exporters in Cebu to learn about this new system from the time it was implemented in June 2012,” BETP Director Senen M. Perlada said. This seminar is part of the Philippine Export Competitiveness Program (PECP), which intends to provide exporters with helpful information on operating their businesses. It was attended by 197 participants on its first day and 117 on the second day. On the first day of the seminar, the topic was on the electronic-to-mobile (E2M) customs system, particularly the Client Profile Registration System (CPRS), Automated Export Documentation System (AEDS), and Interim Customs Accreditation and Registration Unit (ICARE). The E2M system facilitates export and import documentation at the Bureau of Customs (BOC) that uses value-added service providers. With this system in place, exporters need to register and be accredited for the use of the E2M system. “We have intensified our campaign to promote the E2M system since the BETP is the approving authority in accrediting exporters under the Export Development Act (EDA) and coffee exporters under the International Coffee Agreement (ICA),” Perlada said. The BETP is one of the recognized government agencies that facilitate the approval of the CPRS applications through online connection with the E2M system. For the second day, the topic was on the International Commercial terms 2010 (Incoterms 2010) or the current series of pre-defined commercial terms published by the International Chamber of Commerce (ICC) that is broadly used in international commercial dealings. 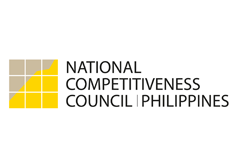 “We have included a discussion on the Incoterms 2010 to help keep the exporters abreast with the current developments of internationally agreed commercial terms to ensure fair distribution of obligations and reduction or removal of risks between Filipino exporters and their counterparts,” Perlada said. During the seminar, the discussions focused on the customs memorandum orders for the E2M system and regulation, CPRS process flow, automated export documentation system process flow, interim custom accreditation registration, stakeholders’ experiences and the Incoterms 2010. There were also actual exercises and question and answer sessions to verify the participants’ level of understanding.